A recent article in the Daily Mail highlighted how personal trainers can harm your health. It’s a serious concern when you’ve put your faith in someone and they end up injuring you which requires expensive physio treatment. As a fully qualified level 3 Fitness Instructor, I thought I’d take a few moments to explain how you should select your Personal Trainer. Before you decide on getting a Personal Trainer, consider why you need their services. Are you wanting to improve your general fitness or do you need a someone with specialist knowledge such as triathlon training? You should always meet your Trainer in person before you agree to follow a structured programme. Most good Personal Trainers will offer a free consultation and health check before they start working with you. They will ask you to fill out a health questionnaire and may perform some basic fitness tests or check your weight, body fat and blood pressure. Once they’ve done this, then get them to explain how they’re going to help you with your objectives. You should also ask to see an example training workout that they’ve done for other clients. If nothing is written down, then the chances are that the person is making it up as they go along and you’re not going to follow a structured programme. 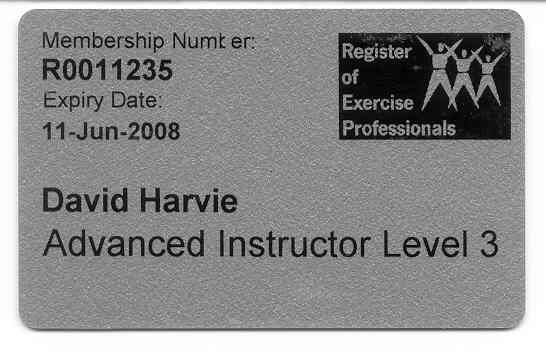 Always check that the Personal Trainer is a member of The Register of Exercise Professionals (REPs). REPS is a self-regulatory body that has been set up to help safeguard and to promote the health and interests of people who are using the services of exercise and fitness instructors, teachers and trainers. The Register recognizes industry-based qualifications, practical competency, and requires fitness professionals to work within a Code of Ethical Practice. Members of the Register are given a card and registration certificate to prove their qualification and membership. Don’t be afraid to ask to see this documentation. A good Personal Trainer should keep you motivated and help you to achieve your health and fitness goals. You should feel comfortable in their company and the Trainer should be professional at all times. How many calories can you burn in an hour? The number of calories you burn in an hour will vary depending on your metabolism, your body weight, the intensity at which you’re working out, and the activity you perform. The chart below shows you a number of different activities and the typical amount of kcals burned in an hour. If you’re using a cardiovascular machine that requires you to enter your age and weight then do so. 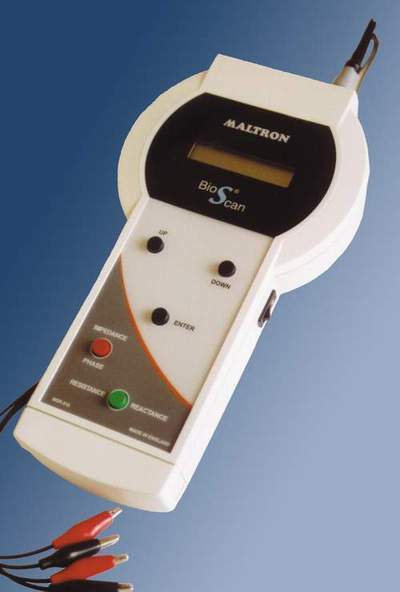 It will calculate the calories burned during your workout more accurately. This is because it takes into consideration your weight when calculating the calories burned. In a recent study of 52 obese men with an average body mass index (BMI) of 31, Canadian researchers demonstrated the power of exercise as a weight loss tool. One group of men dieted, consuming 700 calories per day less than they needed to maintain their weight. Another group walked or jogged on a treadmill at 80 percent of heart rate maximum for about an hour each day, long enough to burn off 700 calories. After three months, both dieters and exercisers lost the same amount of weight - about 16.5 lbs, or eight percent of their body weight. Exercisers, however, lost more abdominal fat (4.2 lbs) than dieters (3.3 lbs). This group also did not lose muscle mass the way dieters did, and got the added benefit of improved cardiovascular fitness. A third study group kept their weight stable by burning off 700 calories per day with exercise, but making up for it with an extra 700 calories of food. Although these men did not lose weight, they did lose visceral abdominal fat, which may reduce the risk of cardiovascular disease and diabetes. One of my top tips is to set yourself SMART goals to achieve your fitness targets. But what is a SMART goal? A SMART goal should be Specific, Measurable, Achievable, Realistic and Time based. Once you’ve set your SMART goal you can then decide on how you’re going to get there. So regardless of whether you want to lose weight, run a half marathon or complete the London to Brighton bike ride, you should write down your goal and make a contract with yourself. This will help you to remain focused on your objectives. My main sport is Triathlon and I’m actually quite good at it. For the last 7 years, I’ve told anyone who would listen that I want to get to the World Age Group Championships. Have I done it? Of course not! Why, because I’ve never actually made a SMART goal or written it down. Why not write down your fitness goals and I’ll check and see how you’re getting on. Simply fill out the contact us form and tell me your SMART goals. Tired of the same old cardio session, lacking motivation to get out and exercise? Then why not do something different, try Interval Training. Interval Training means working out for short, high-intensity periods followed by longer, lower intensity periods. These periods of higher and lower intensities are repeated several times to form a complete workout. Intervals will help you to burn more calories, increase your speed, and get you working out for longer periods. 1 minute quick at 80% of your maximum heart rate (mhr). Increase the intensity of your workout. Your breathing should become heavy and conversation is possible in short sentences. 2 minutes easy at 65% of your mhr. Reduce the intensity at which you are working out. Your breathing remains difficult and conversation should be possible in sentences. Intervals are a great way to train. They help you to avoid workout boredom, the session goes by quicker, they keep you focused, you burn more calories and are often more enjoyable. Interval training can also help prevent the injuries often associated with repetitive endurance exercise. Not only that, higher intensities stimulate your metabolism far more AFTER the workouts than lower intensity training. Increase your muscle definition and burn more calories. Did you know that for every extra pound of muscle you put on, your body uses around 50 extra calories a day. In a recent study, researchers found that regular weight training boosts basal metabolic rate by about 15%. This is because muscle is ‘metabolically active’ and burns more calories than other body tissue - even when you’re not moving. Training with weights just 3 times a week for around 20 minutes is enough to build muscle. Not only will you be burning more calories, you’ll look good and feel better. You don’t have to have much equipment to get an excellent resistance workout. In fact, you can exercise all your major muscle groups by using your own body as resistance. Press-ups will exercise your chest and arms while pull-ups will work your back. Squats will work your legs and crunches will test your abdominals. The dorsal raise is an exercise that will help to keep your lower back in shape. Investing in a set of dumbbell weights, resistance bands or a multi-gym will help to sculpt, tone and strengthen your muscles. If you don’t have access to this type of equipment you can use common household objects. A plastic bottle filled with sand can be an effective substitute for a dumbbell! Riding the grueling Tour de France bike race takes strength, stamina — and perhaps a heart nearly 40 percent bigger than normal. Researchers who examined the hearts of former Tour bikers found that the athletes’ hearts were from 20 to 40 percent larger than average, said Dr. Francois Carre of the Centre Hospitalier Universitaire de Rennes, France, speaking at a meeting of the European Society of Cardiology. The difference is attributable largely to rigorous training that expands the cyclists’ hearts. But researchers have not yet determined whether the athletes’ hearts were larger to begin with. “They are a special breed,” said Dr. Richard Becker, a professor of medicine at Duke University and spokesman for the American Heart Association. Becker was not connected to Carre’s study.